Blyth Spartans have signalled their intent for next season after splashing the cash to sign prolific Whitby Town midfielder Dale Hopson. The 24-year-old, who was third in the Evo-Stik Premier League scoring charts last season, just behind second-placed Spartans striker Daniel Maguire, had a number of clubs chasing his signature after an impressive season for the Seasiders. 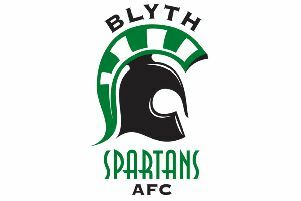 But he has opted to make the step up into the Vanarama National League North by signing for Blyth for an undisclosed fee. Having handed in a transfer request at the Turnbull Ground earlier this month, Hopson agreed terms on Saturday morning and then took part in his first pre-season training season for his new club straight away as he looked to get going in his new surroundings. Hopson said: “Obviously, pre-season is already under way [but] I’m looking forward to getting started properly with the games. “It’s a big club and a big step up for me from Whitby, so I can’t wait to get started. Hopson’s was not the only smiling face around the ground on Saturday morning as Spartans manager Armstrong was delighted to finally sign his target after a busy summer. The 42-year-old said: “He scored over 30 goals in all competitions last season and he’s someone I was definitely watching. We knew he was dangerous and we haven’t really got a player like that as such. “It’s cost a lot more than I’d have wanted to pay, to be totally honest, but that’s the current market, and it appears to have taken off for some reason. “For someone of his ability, though, you have to pay to the money. Although he starred for Whitby from the middle of the park, Armstrong added that, after seeking the advice of David McTiernan, he saw Hopson’s best position further up the field. “I’ve obviously spoke to ‘Macca’ [McTiernan] regarding this and his thoughts are that he’s a top player and he’ll fit in the side,” said Armstrong. “He’ll not be like Luke [Armstrong] as such, where he’ll run in behind, but he’ll be a better link-up player, where he’ll be able to get in between the lines. “We’ll be playing him higher up the pitch, whereas Whitby played him more midfield. We’d be playing him more as a ten, off ‘Nipa’ [Daniel Maguire] and creating opportunities for him that way. “That’s where I see him; I don’t want to see him do what he did for Whitby and come deep to get the ball as we’ve players that can do that already. “Then again, even if he did, it would then be up to Sean Reid, ‘Macca’, Jordan Laidler or whoever else is playing at that time to get forward as well. “He’s a really nice footballer who can contribute a lot of goals. He has plenty of positions he can play in, but ideally he’d be playing off ‘Nipa’, because that’s how I’ve sold it to him and that’s where he wants to play. “I should also say that the chairman and the executive committee have bankrolled the move, which is great as they fully support us. Chairman Tony Platten added: “The executive committee is fully supporting the manager to build the best possible squad for the coming season.